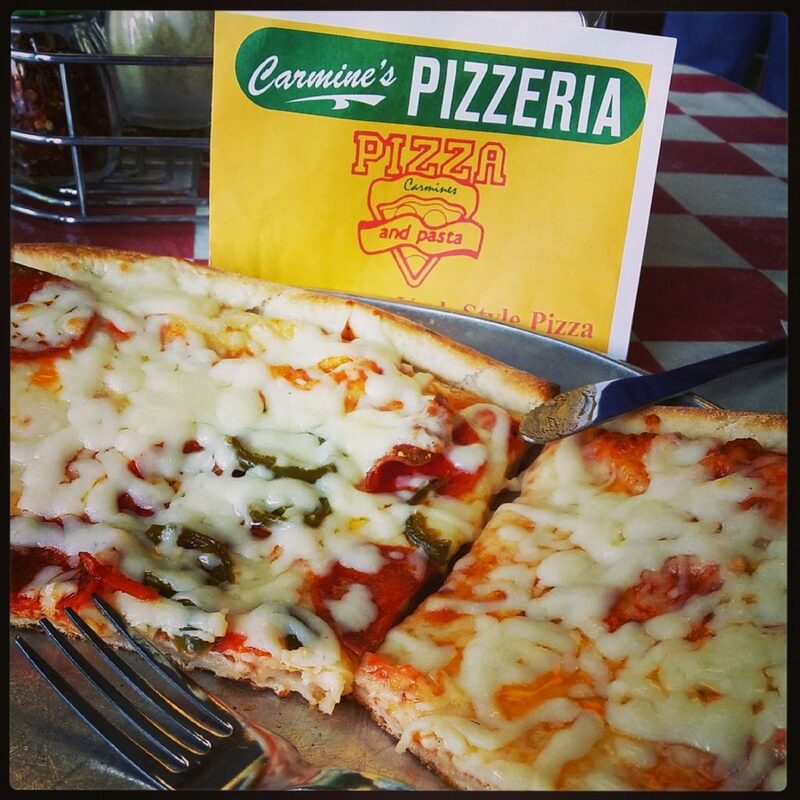 " Serving New York Style Pizza "
NOTE: WE ARE NOT ASSOCIATED IN ANY WAY WITH ANY OTHER BUSINESS NAMED CARMINE'S. Located at the corner of Harwood and San Jacinto in the heart of downtown Dallas, we serve a variety of authentic New York style food items. 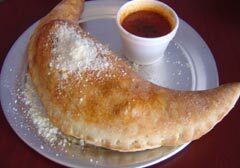 From beautiful salads and meatball sandwiches to what’s been called “The best New York Pizza in North Texas”. Come see for yourself. Pepperoni, Italian sausage, pure beef, Canadian Bacon, grilled chicken, barbecue chicken, teriyaki chicken, bacon, onions, fresh mushrooms, fresh green peppers, green olives, black olives, jalapenos, garlic, sliced tomatoes, anchovies, sun dried tomatoes, pineapple, zucchini, goat cheese, feta cheese, artichoke hearts and spinach. 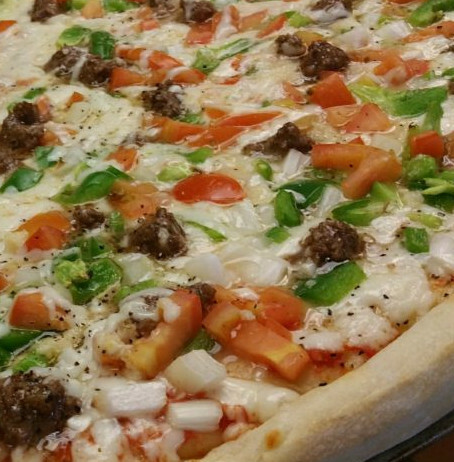 All pizzas are made with the highest quality low-fat mozzarella cheese. 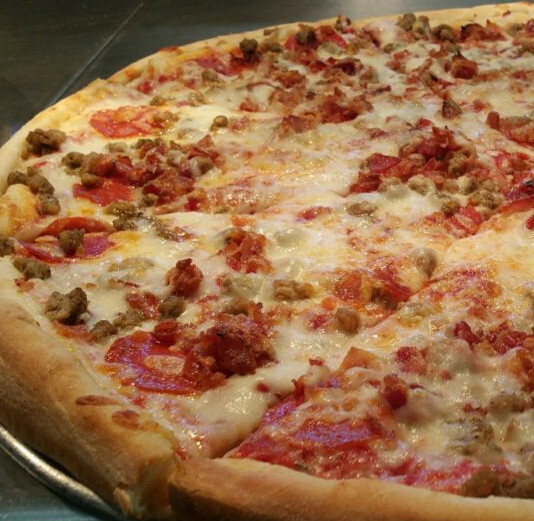 Choose your toppings for your order. Yout choice of 7 of our fresh toppings. 12" Medium, 16" Large, 20" Extra Large. Here are some of our creations. Enjoy the view and come on in for the taste.